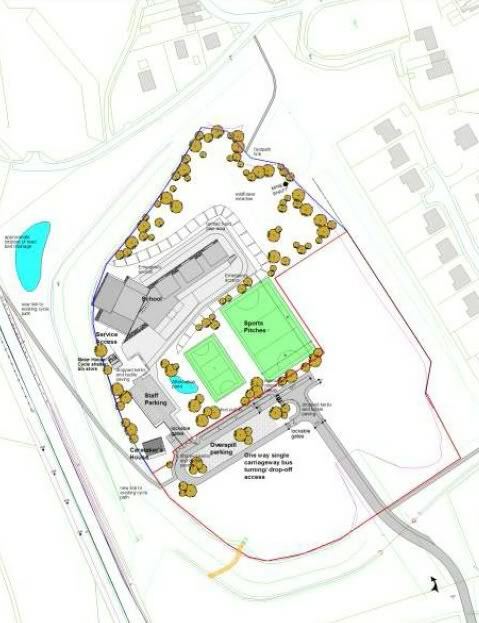 Some good news to break this week is that that contractors have just started work on building a new Welsh-medium school in Blaenau Gwent. BG only has one WM school, at Brynmawr. At present it is split between three sites; Key Stage 1 and 2 children housed in different buildings on opposite sides of the main road, and nursery children in another building again. The buildings are old and in very poor condition, according to the Argus they are "one of the worst in the borough". 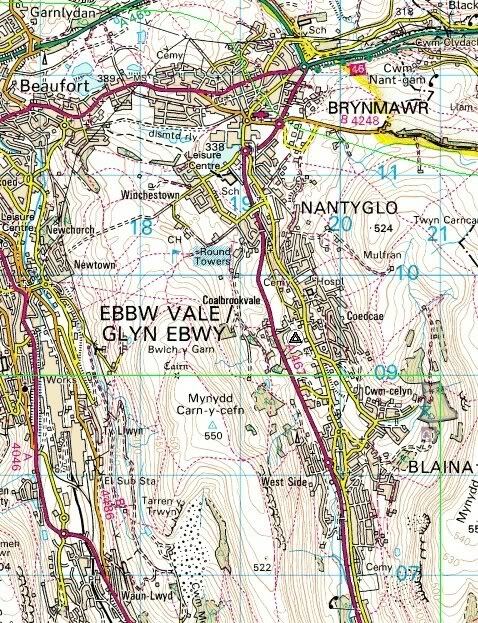 The new 360 pupil school, which will be called Ysgol Gymraeg Nantyglo, is half way between Nantyglo and Blaina, marked by a triangle on the map below. And this is a computer image of how it should look. The fenestration is, shall we say, interesting. All in all this is something to be celebrated. And equally to be celebrated are the new schools and improvements that have and are going to be made to some of the other schools in the borough. Blaenau Gwent is way behind. Yet I can't find anything to indicate that BG are thinking of opening another WM school. There is no WM provision in either Ebbw Vale or Tredegar, the two largest towns in BG. I'm sure a good few children at Brynmawr now come from those towns. The new school is two miles further away, which will only put some parents off. But it's closer to Abertillery. One possibility is that a new primary school is planned as part of the redevelopment of the old Corus site, known as the Works. 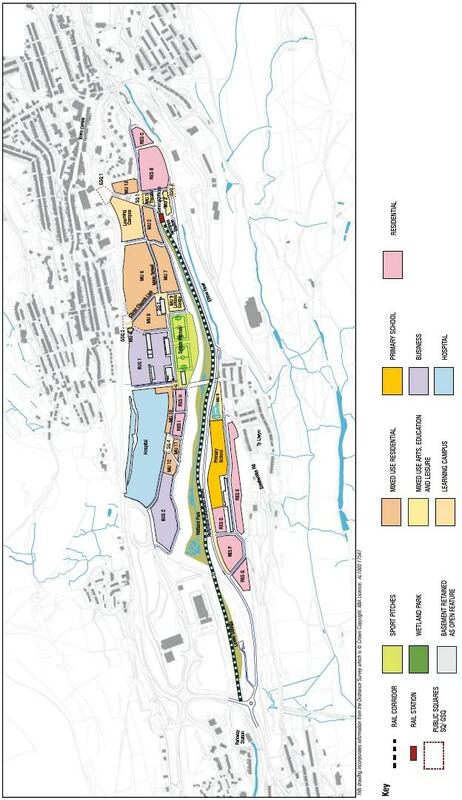 It is going to be on the Hot Mill site, next to Ty Llwyn. 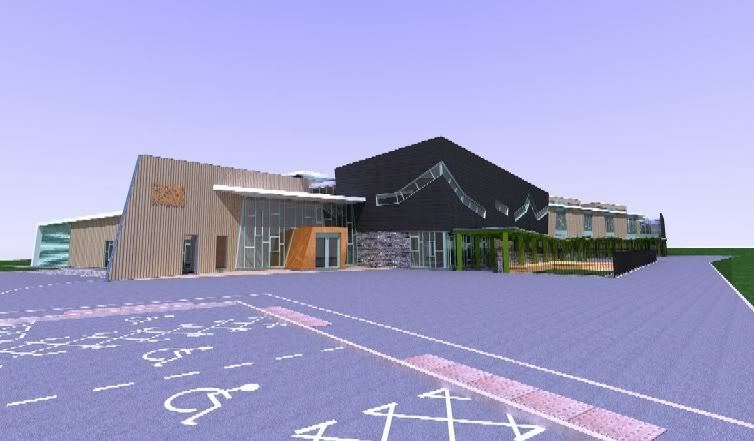 The Master Plan says that this is intended as a replacement for the Waunlwyd Primary school, which is fine. But it frees up capacity in the pool of EM primary schools, so surely there is room for another WM school to be set up in one of the existing EM schools. In 2006 there were a total of 584 surplus spaces in EM primary schools. This isn't an outrageous figure, but it shows there is room for manoeuvre.